keen to overhaul the series at all levels. During the course of its 18th season the series would also undergo a complete change of its leading cast. Positioned in the middle of this pivotal season, Full Circle (1980) exemplifies the new production team’s vision, one that rejected the fantasy overtones of previous years and put a more science-driven ethos at the heart of the series. It attempts to present the concept of evolution to a tea-time family audience in an entertaining way, dramatising it by depicting the inhabitants of a spaceship and a primordial swamp in conflict with each other. But stranger elements lurk beneath the surface, forgotten and waiting to re-emerge. This book puts Full Circle under the microscope and discovers a mixed heritage of discredited science, pseudoscience and mysticism. It also considers the effect this story, the first to be written by someone who grew up as a fan of Doctor Who, had on the evolution of the series itself. 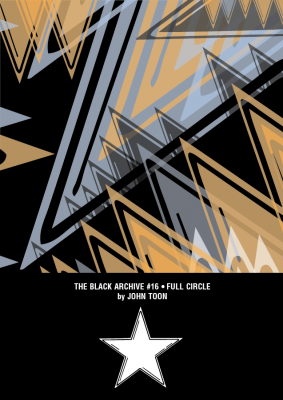 John Toon is an active writer and organiser in the New Zealand science fiction fan community. He was one of the founding contributors to The Professor X Programme Guide, an online Doctor Who parody in the 1990s, but he’s learned his lesson and he’s very sorry. He celebrated Doctor Who’s 50th anniversary by blogging about the electronic soundtracks of the 50 stories broadcast during the 1980s. His other interests include Godzilla, playing orchestral percussion, comics and make-up. He and his partner emigrated from the UK eight years ago and live on the outskirts of Wellington. This is his first book.